If you or someone you love has been injured as a result of a doctor’s negligence, you may have grounds to file a personal injury lawsuit for medical malpractice in the state of Florida. Medical malpractice occurs when a patient is harmed by a nurse, doctor, or other professional who does not uphold the proper standard of care. There are five common situations that can lead to a medical malpractice lawsuit in Boca Raton. 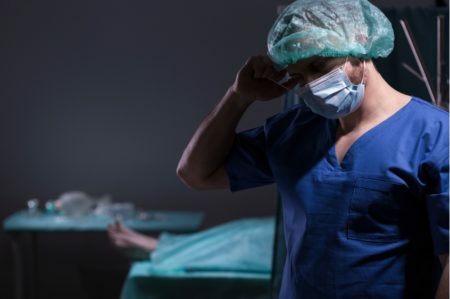 In order to bring forth a medical malpractice lawsuit you must be able to demonstrate that the medical provider was in some way negligent and that you or someone you love sustained injuries as a result of this negligence. A large portion of medical malpractice complaints relate to a late diagnosis, misdiagnosis, or no diagnosis at all. If a doctor misdiagnoses you or fails to give you the proper diagnosis of a serious complication for some time, then you may miss out on treatment opportunities that could have prevented harm, pain, or even death. In order to demonstrate a misdiagnosis or delayed diagnosis claim, you must be able to demonstrate that another competent doctor would have handled the situation differently. According to research, medication errors harm as many as 1.5 million people in the United States each year. These medication errors can happen in various ways including the administration of the drug or the initial prescription itself. An anesthesia mistake can be deadly for a patient. Even a small error on the part of an anesthesiologist can lead to fatal injuries. This includes failing to monitor the patient’s vital signs, giving too much anesthesia during the surgery, or using defective equipment. Mistakes made in the operating room can lead to complications or even death for patients. If you believe that you have been impacted by a surgical error, it is important to get a second medical opinion as soon as possible. Many injuries that affect infants can be prevented when a doctor has proper training and care in the childbirth process. Cerebral palsy and seizure disorders as well as Klumpke and Erb’s palsy may also be linked to medical malpractice. If you have been impacted by a medical malpractice event in Boca Raton, you need an experienced personal injury attorney who can help you understand the complexities of the case and give you advice moving forward. Your personal injury attorney will ensure that your rights are properly protected, and that you get the guidance you need to help reclaim your life after your injuries. Medical Malpractice – Who Can Be Sued?